Almost every year new seed technologies, new farming practices and new insurance products come to market. Add on top of that the drastic volatility in today’s commodity markets and one’s financial picture can move dramatically. With all these constant changes in your farming operation how would a crop insurance agent’s recommendation of doing the “same” as last year ever be a real benefit to you? 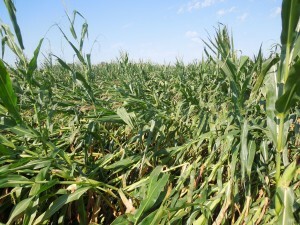 Each year brings different variables and that means a fresh look needs to be taken at how you are protecting your crop. Corn Capital Innovations will help you take a totally different look at how crop insurance should be used and what an important tool it is for your operation. Crop Insurance decisions should be and must be more than just determining your risk tolerance. Instead your decision should include your financial position, yield history and your upcoming marketing strategy. Corn Capital Innovations can help you pull it together. Understand that crop insurance can be used for much more than just catastrophic yield loss.